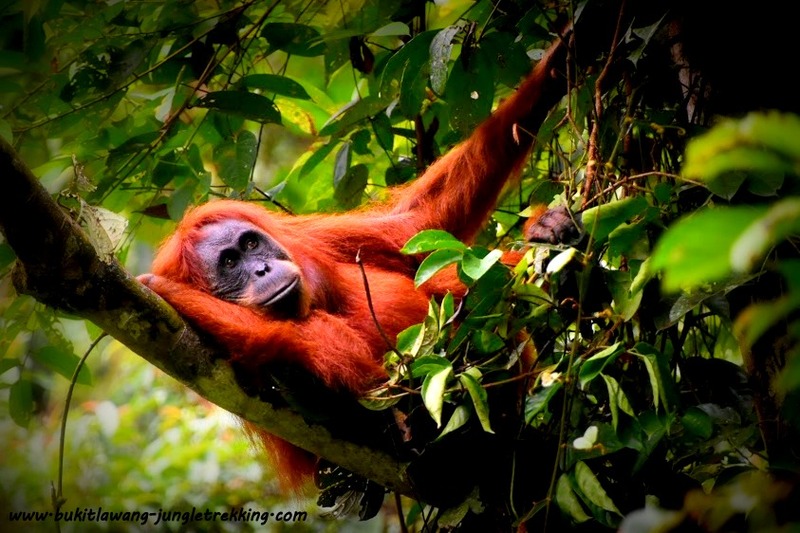 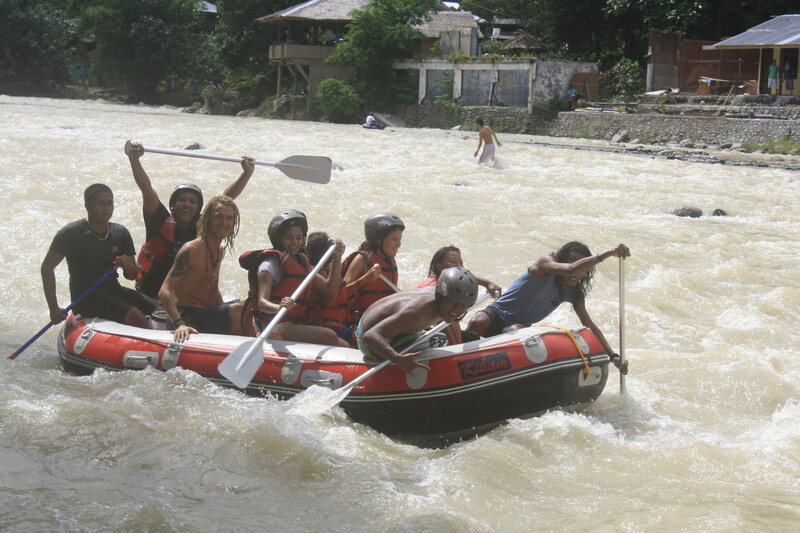 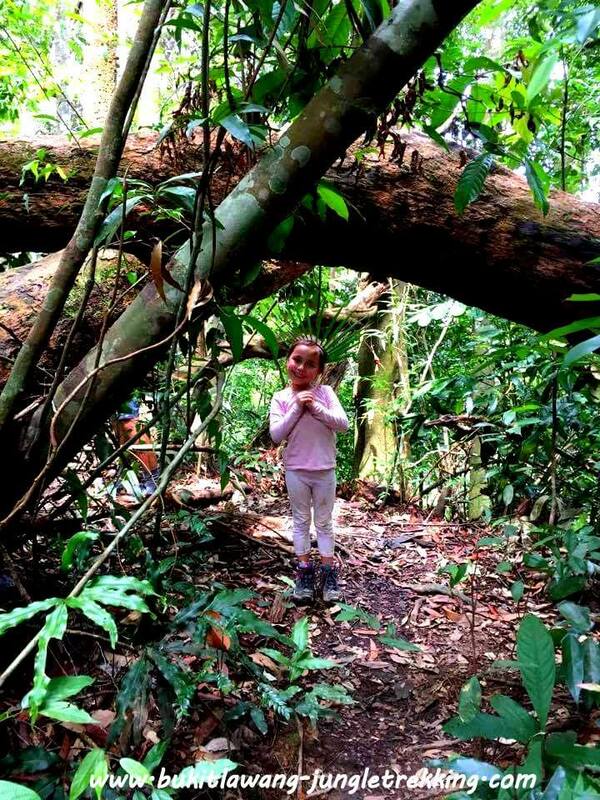 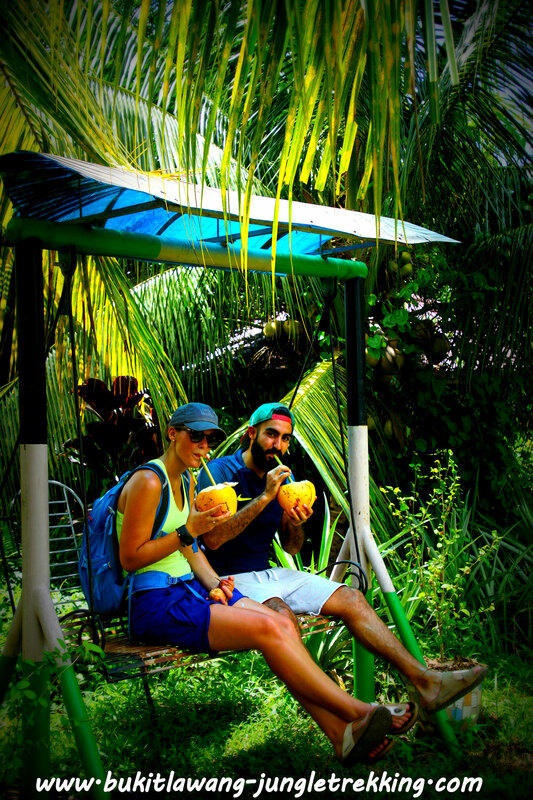 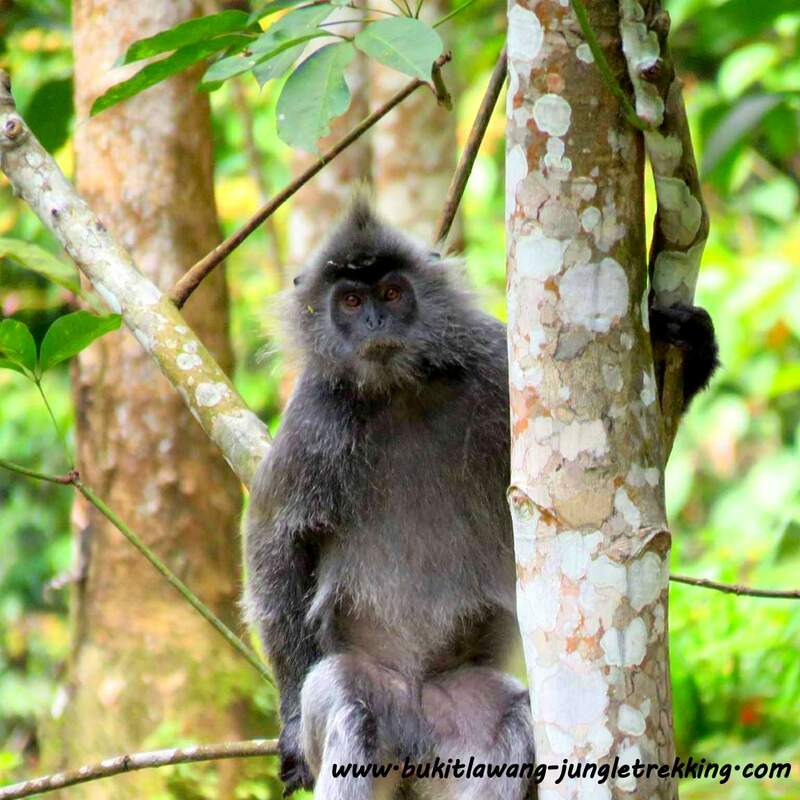 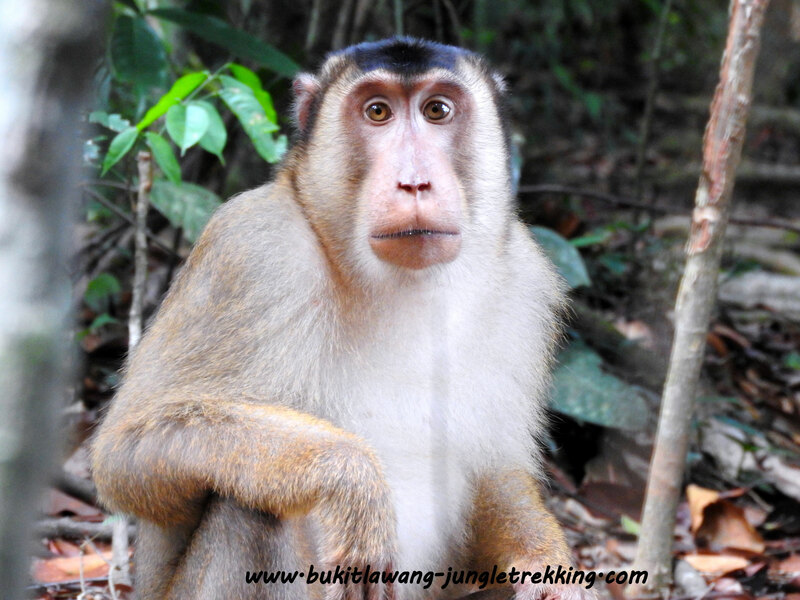 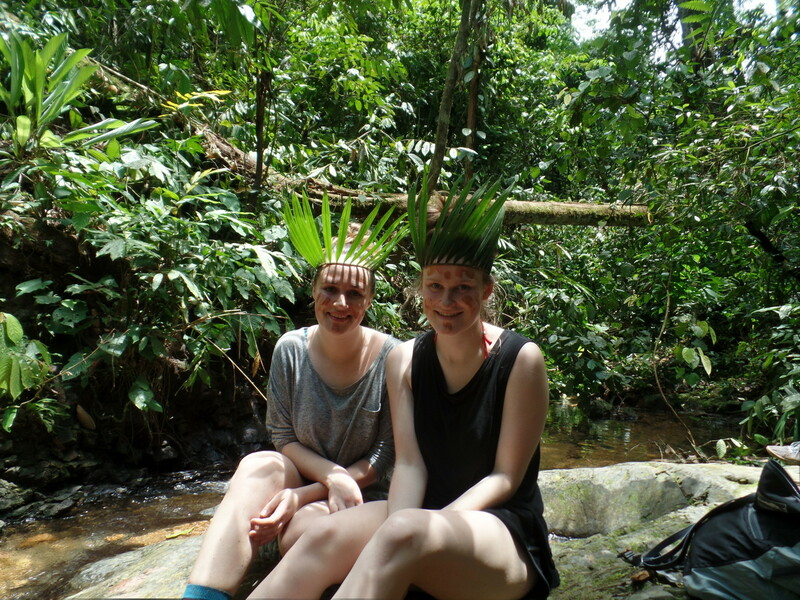 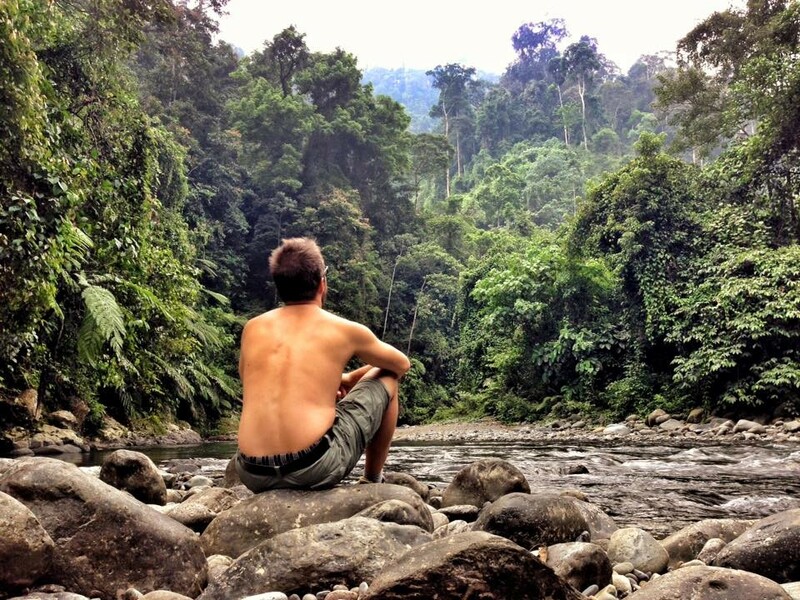 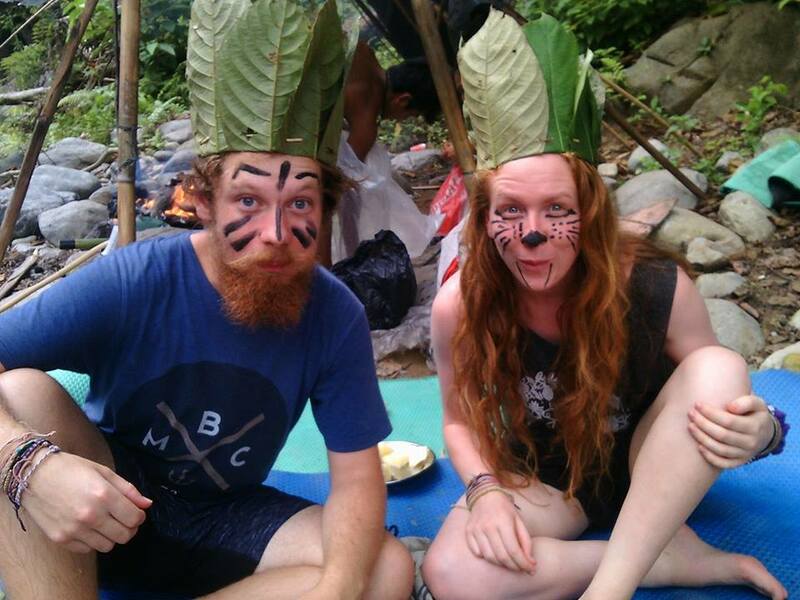 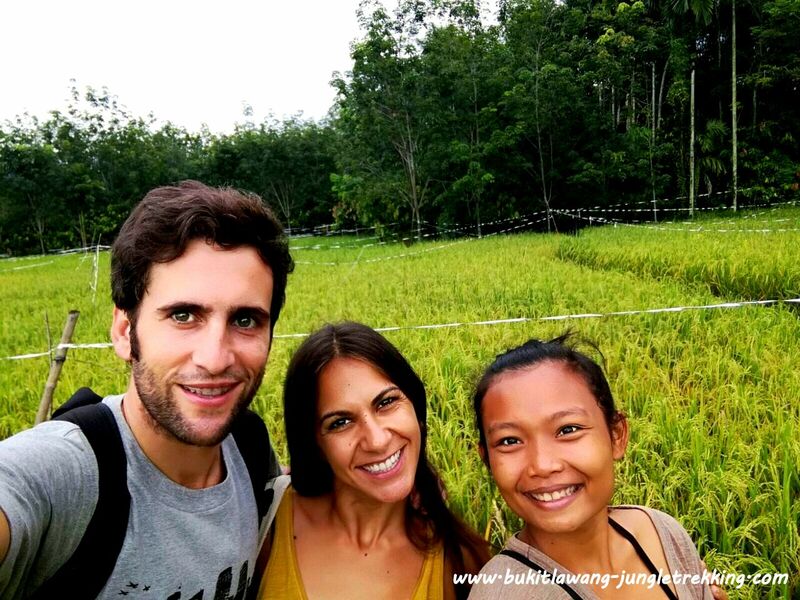 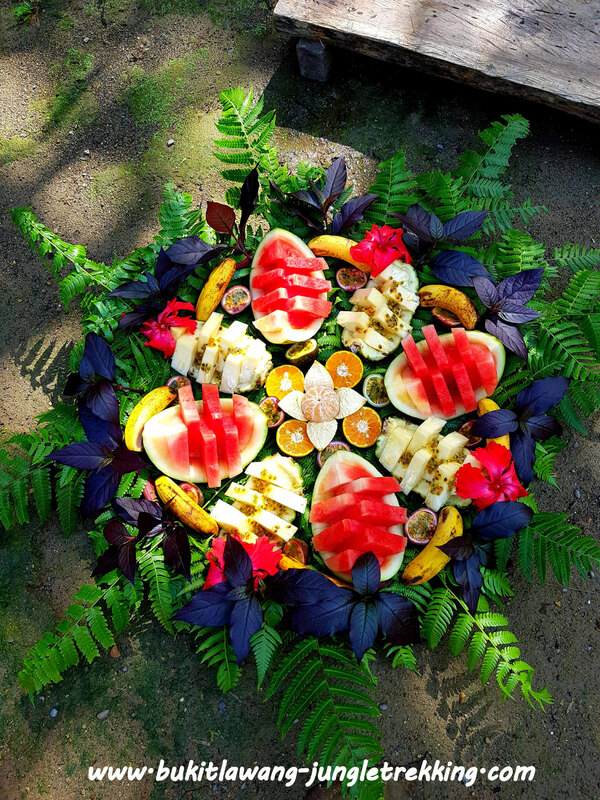 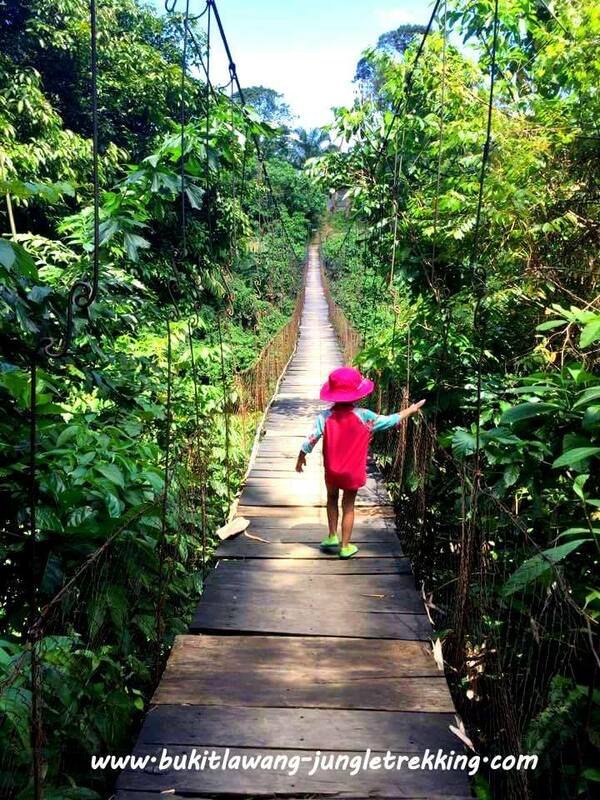 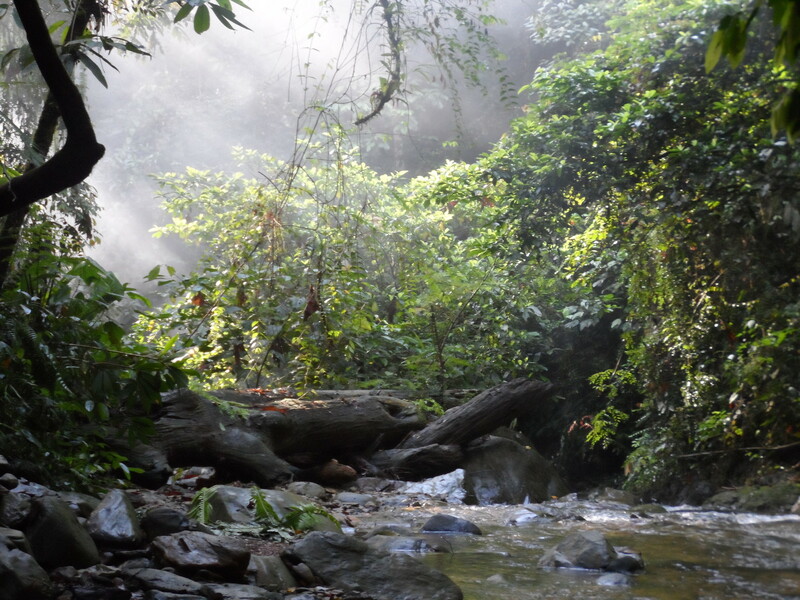 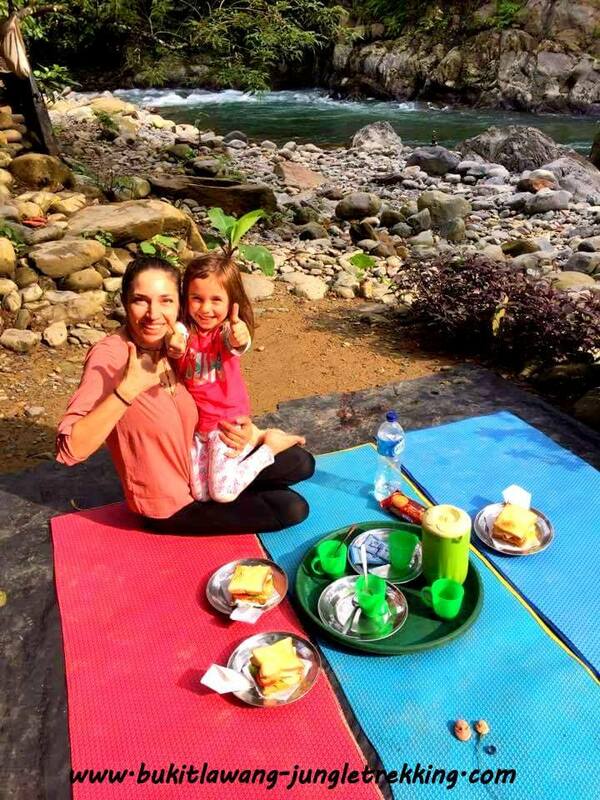 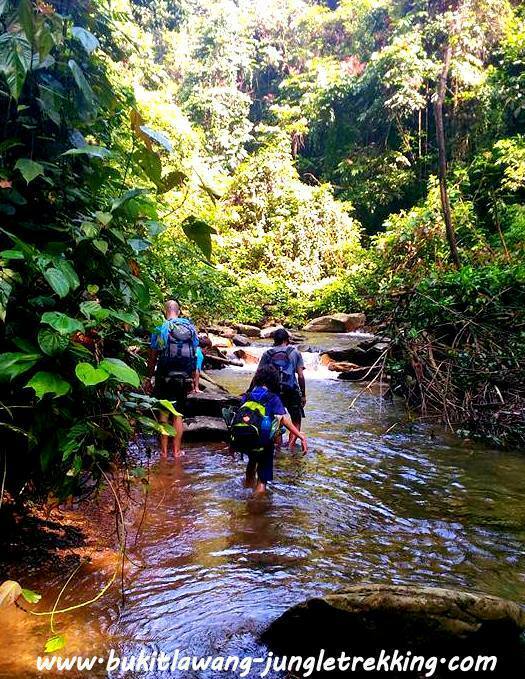 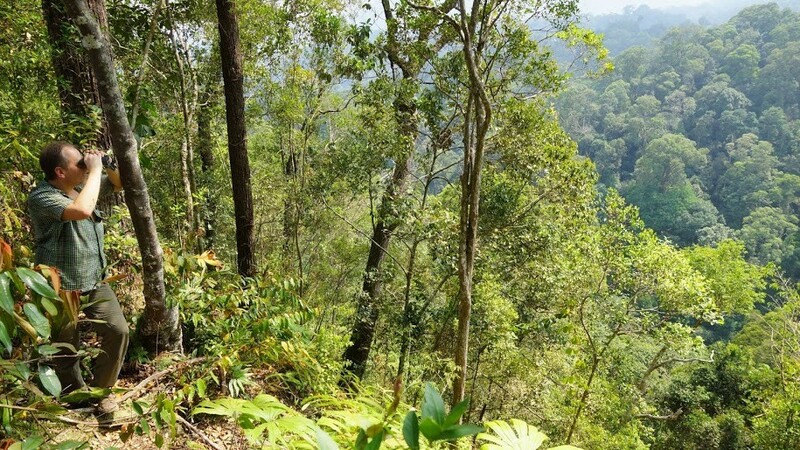 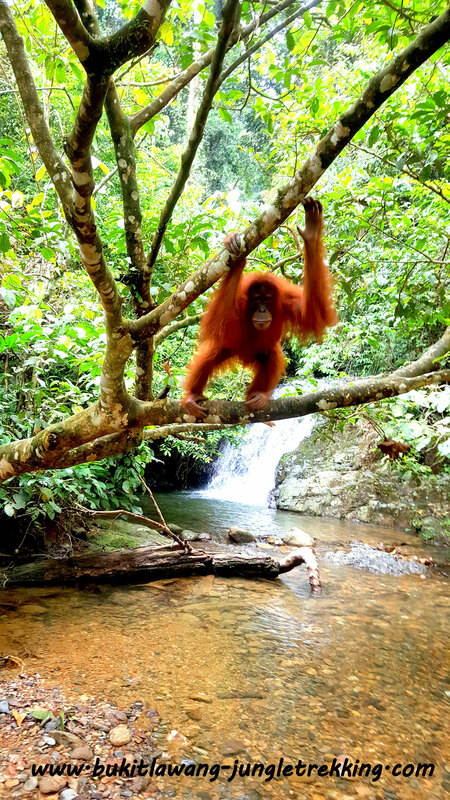 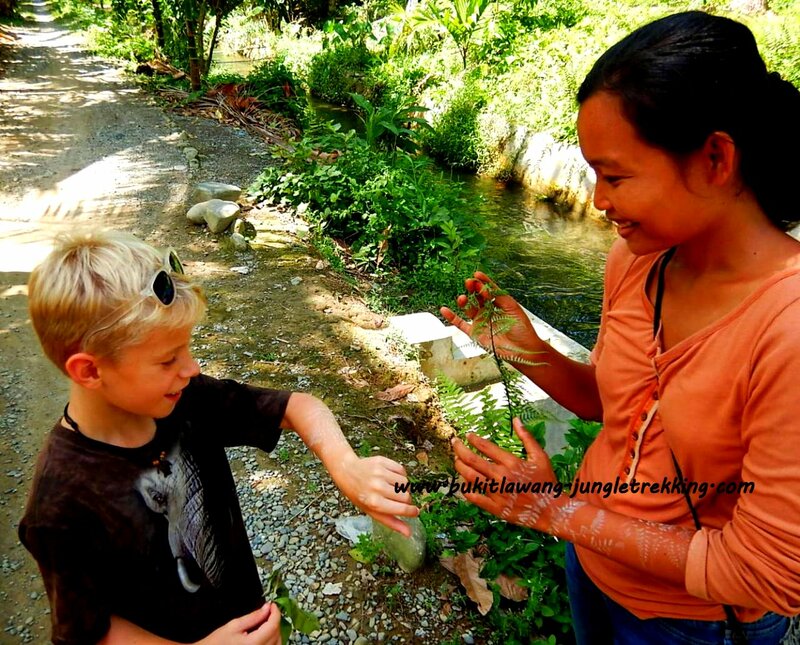 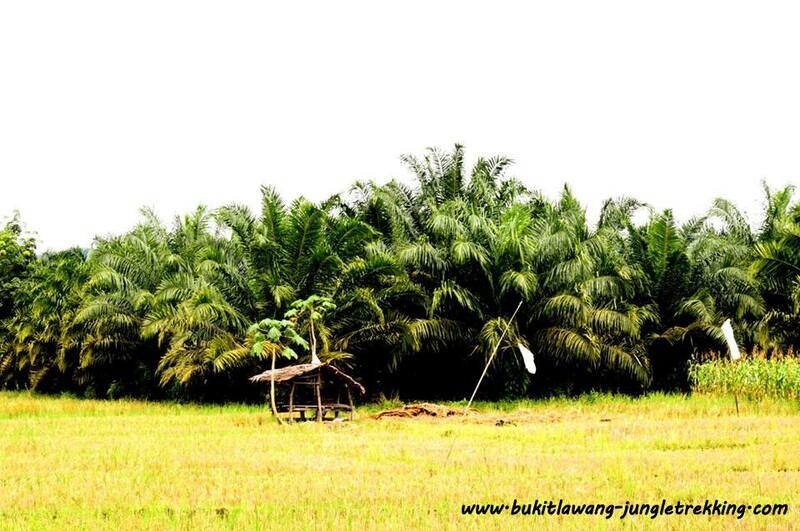 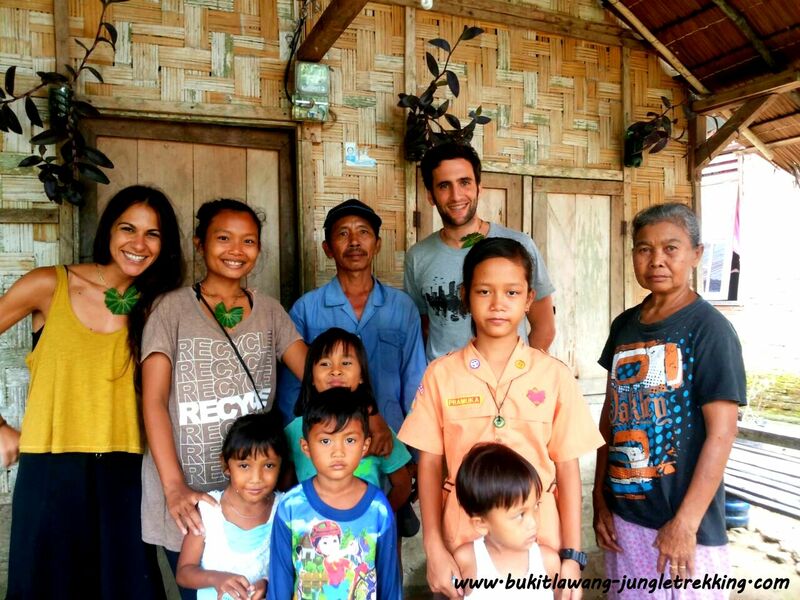 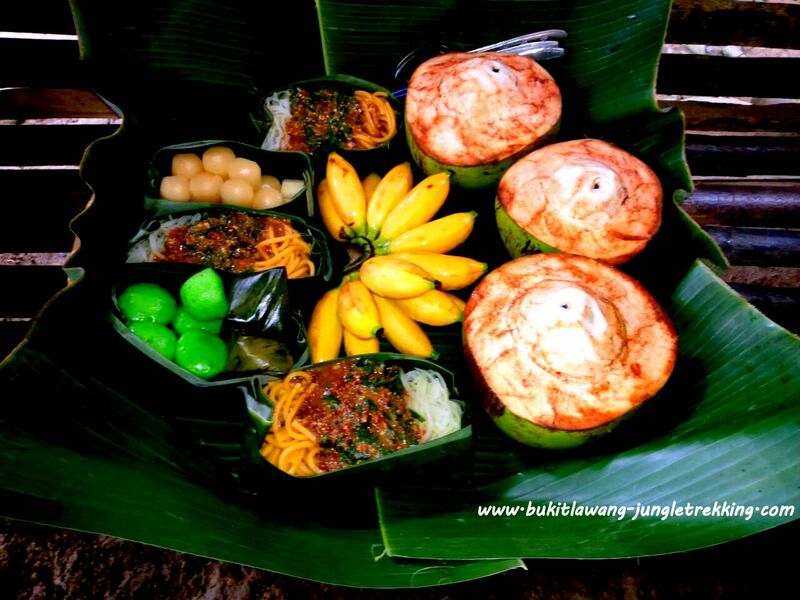 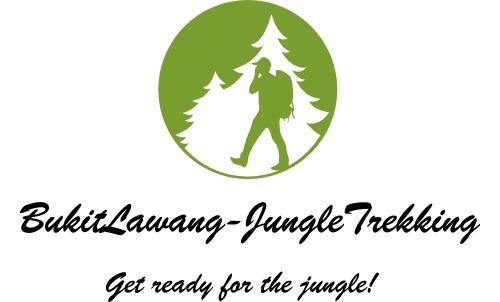 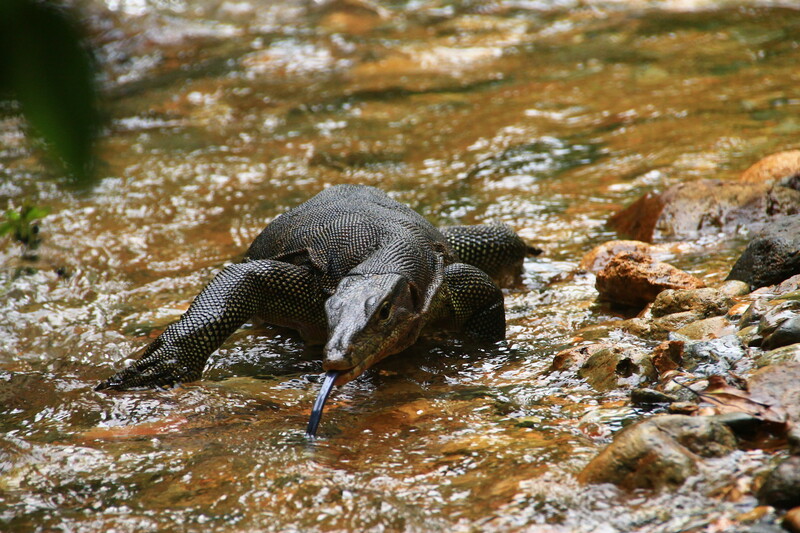 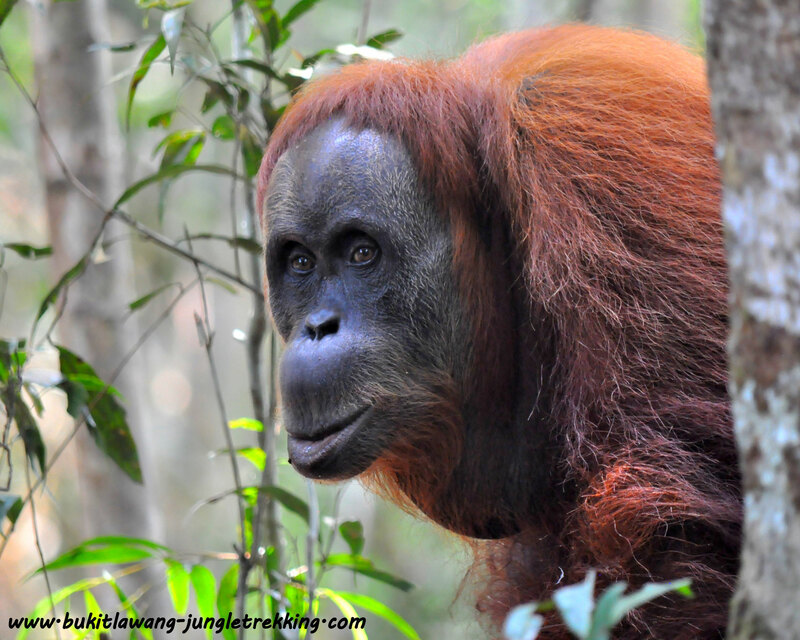 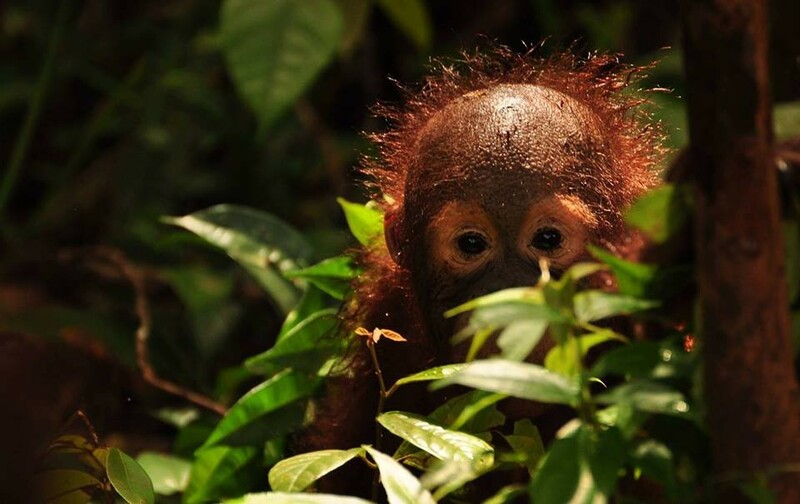 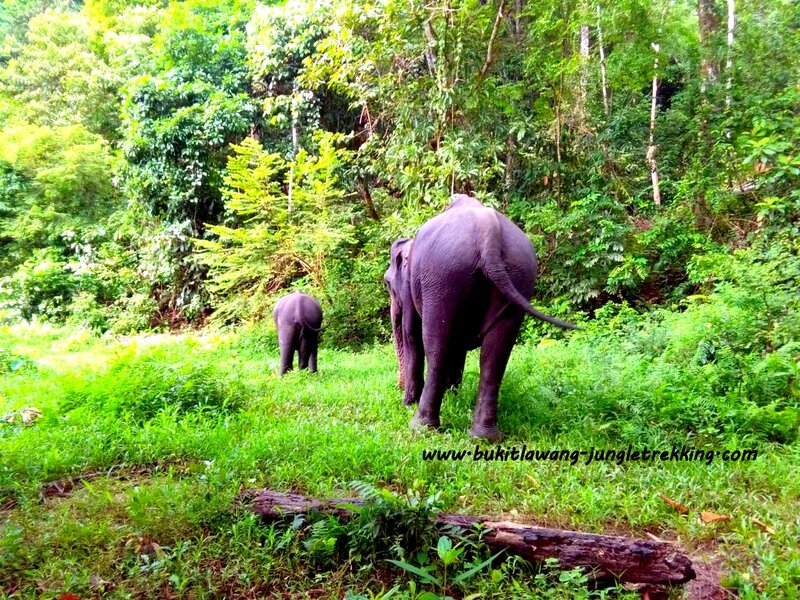 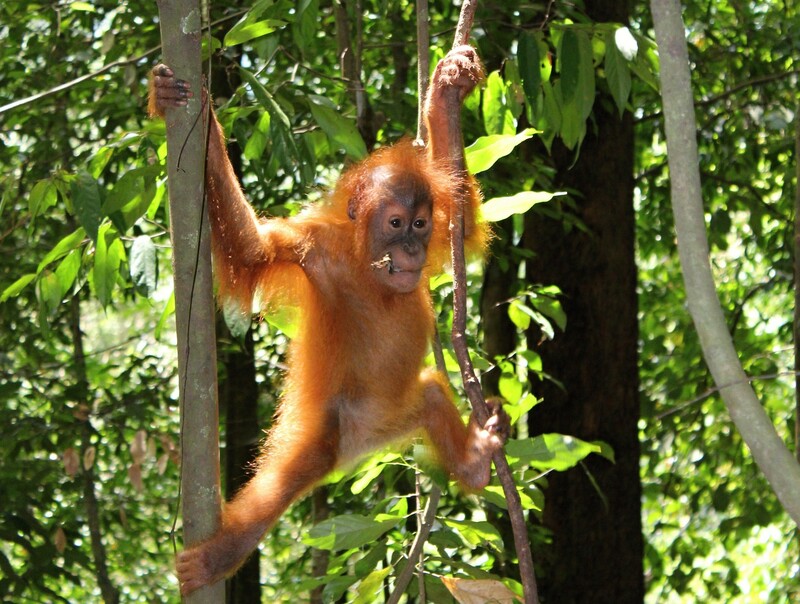 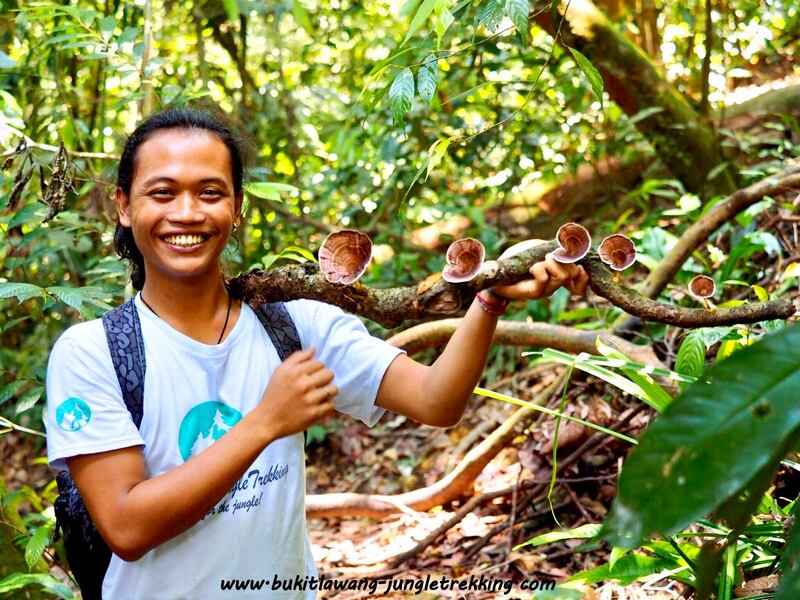 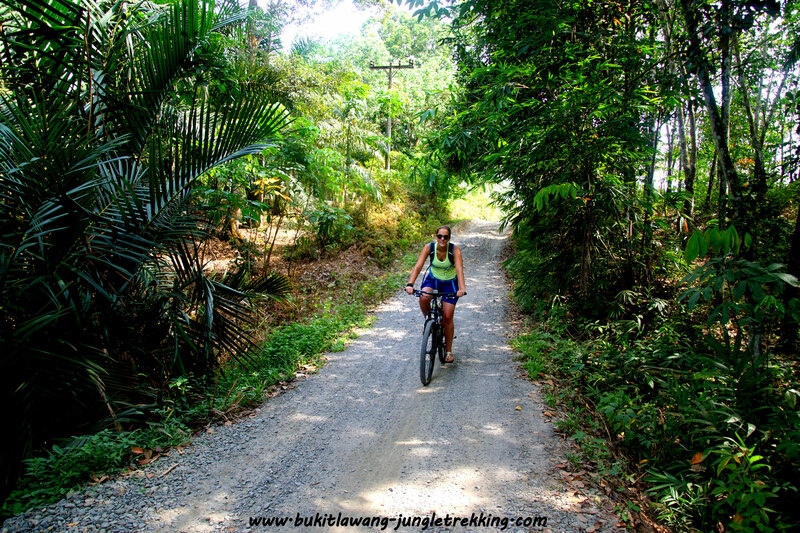 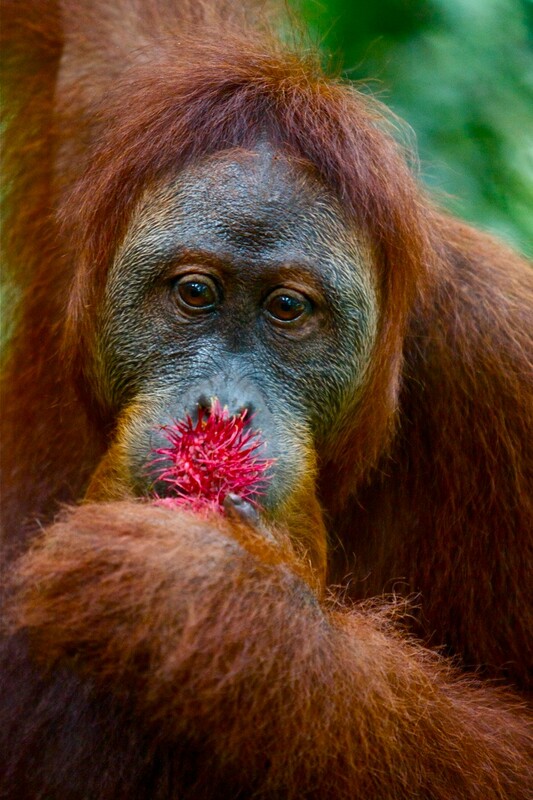 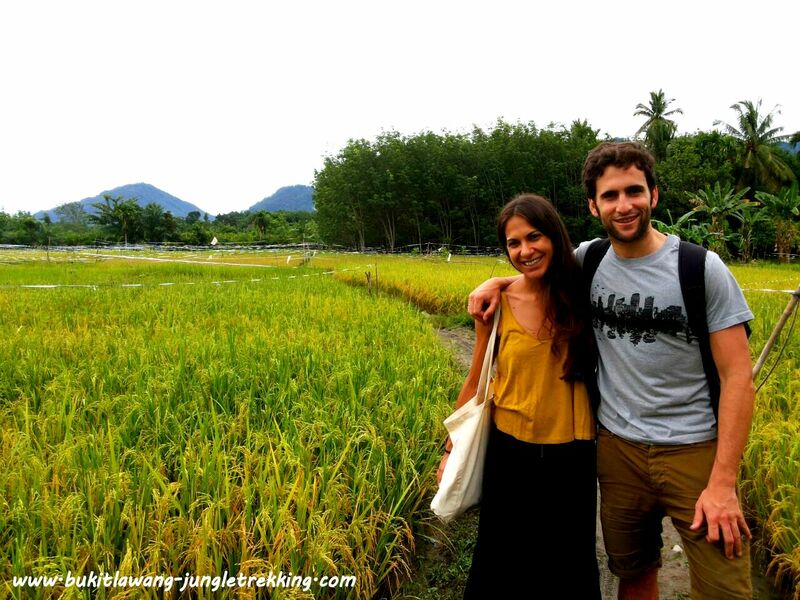 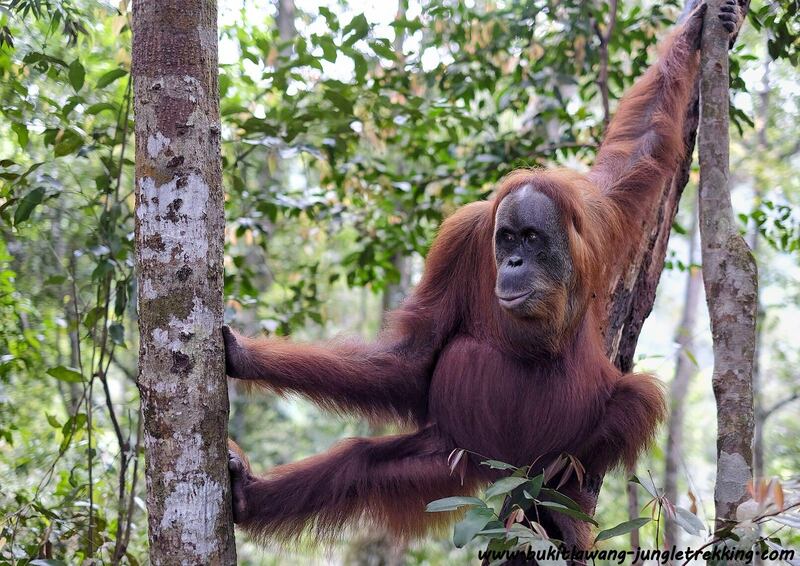 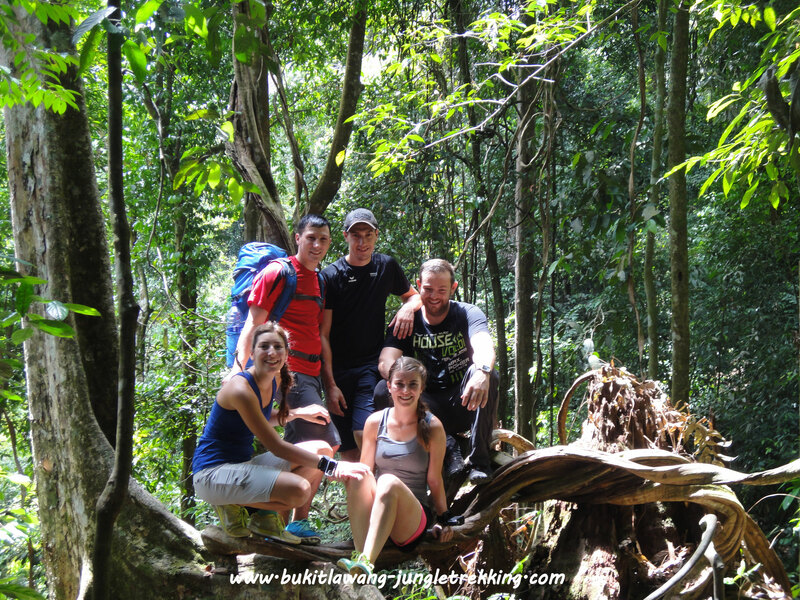 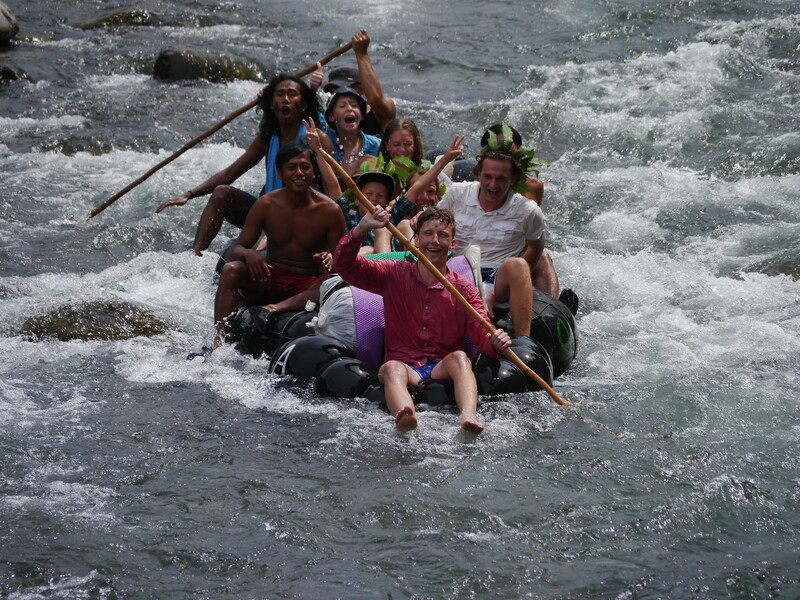 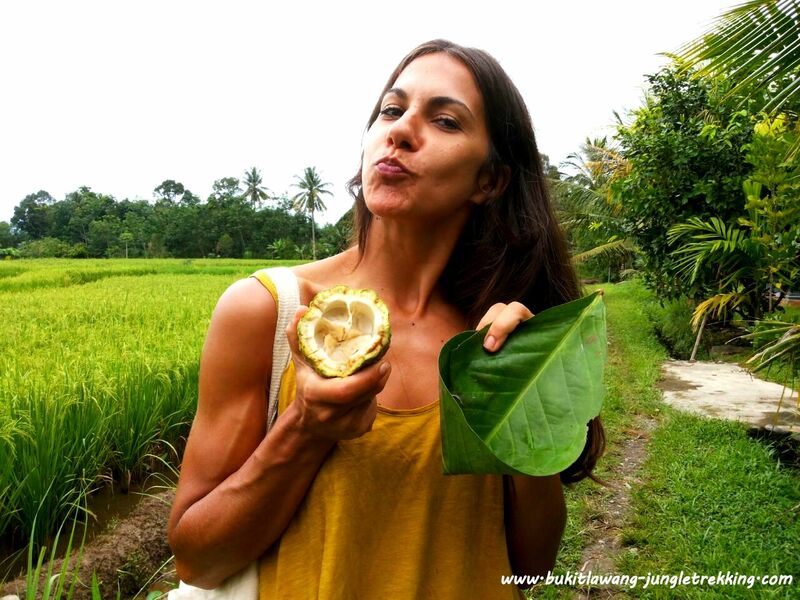 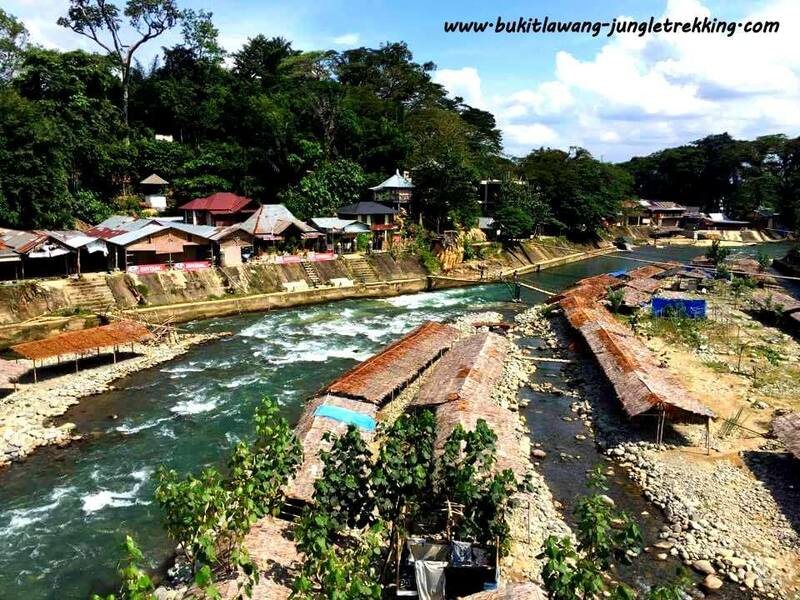 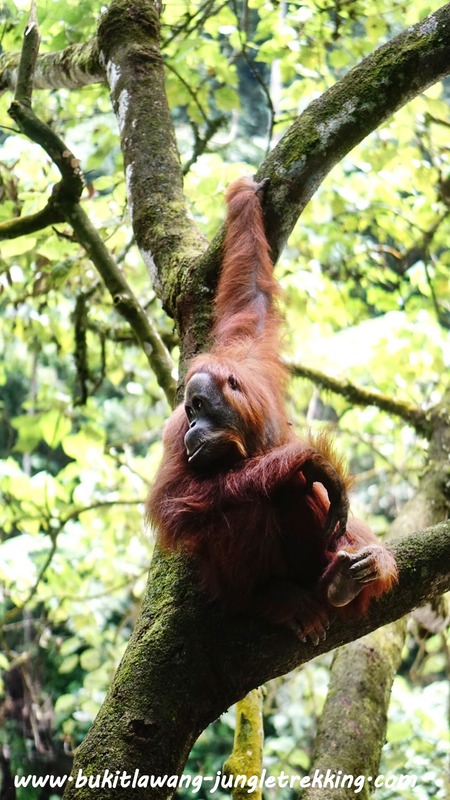 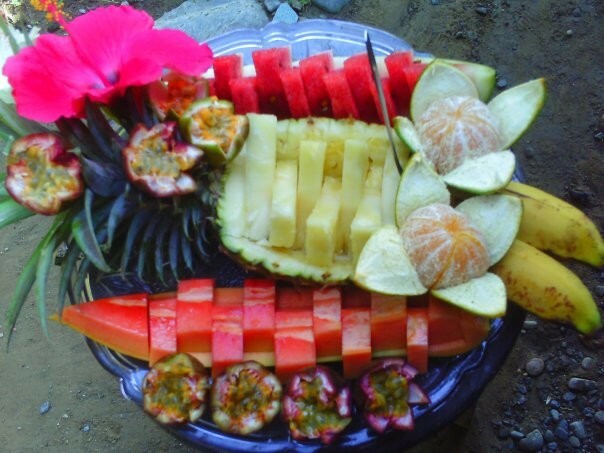 ECO-Walking Village Tour - Jungle Trekking Tours in Bukit Lawang,Sumatra! 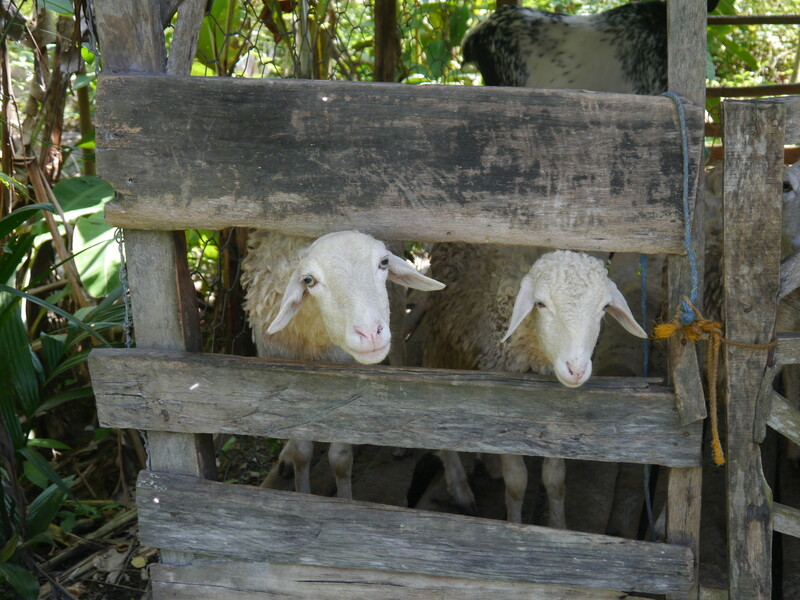 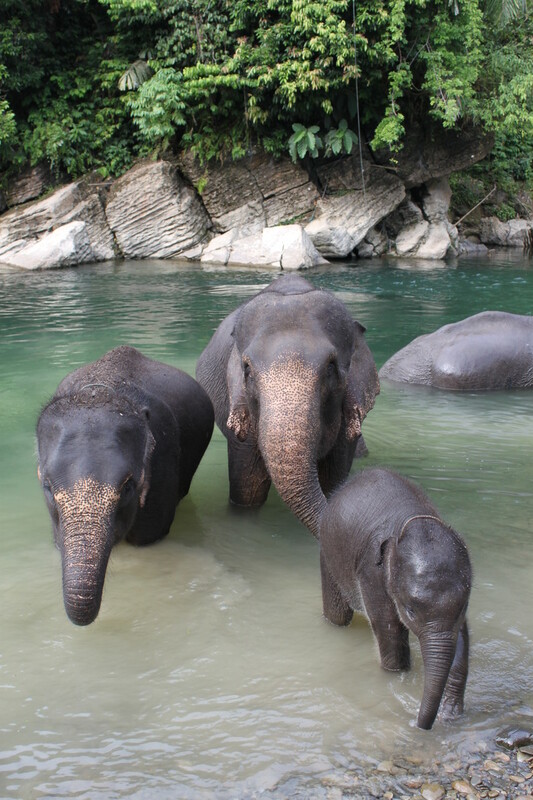 This tour is part of our ECO TOURISM PROGRAM,established 2016. 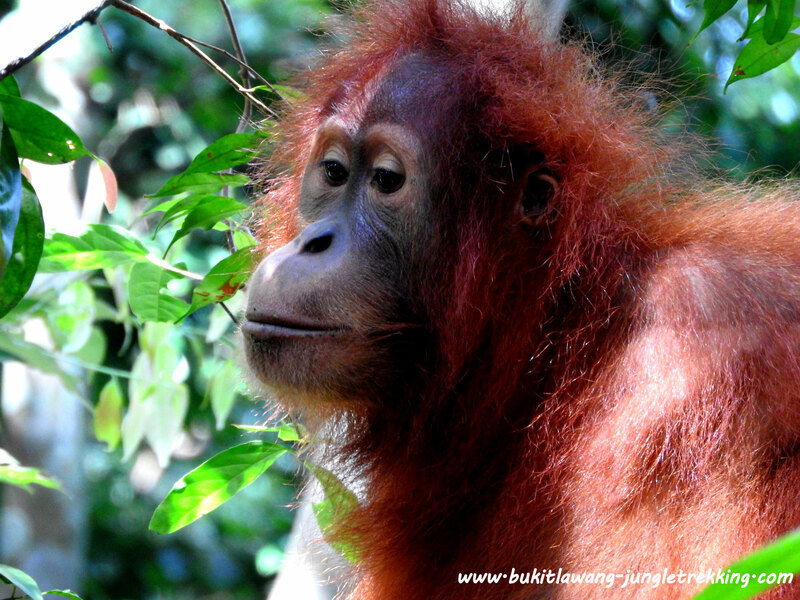 Please find more information about it here. 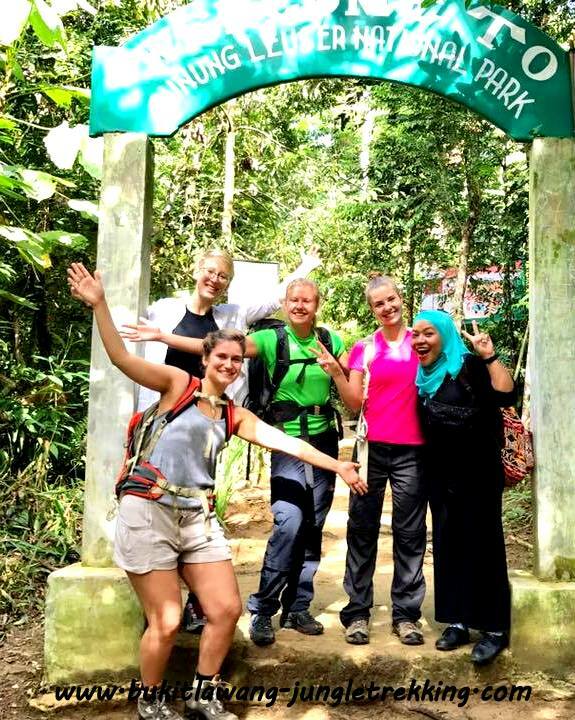 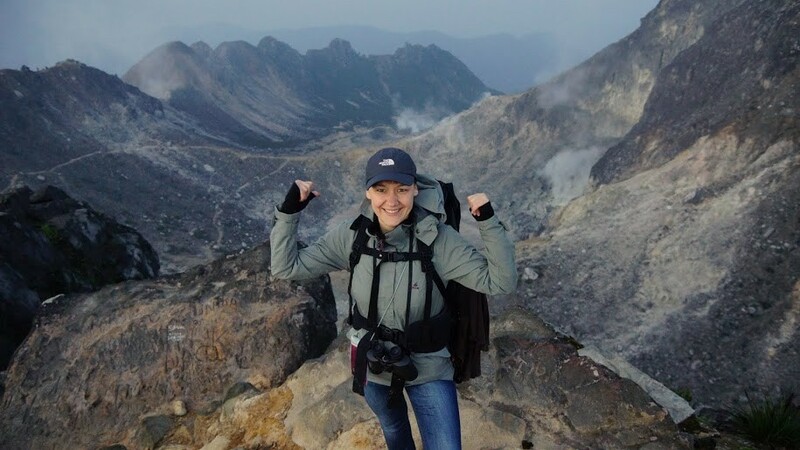 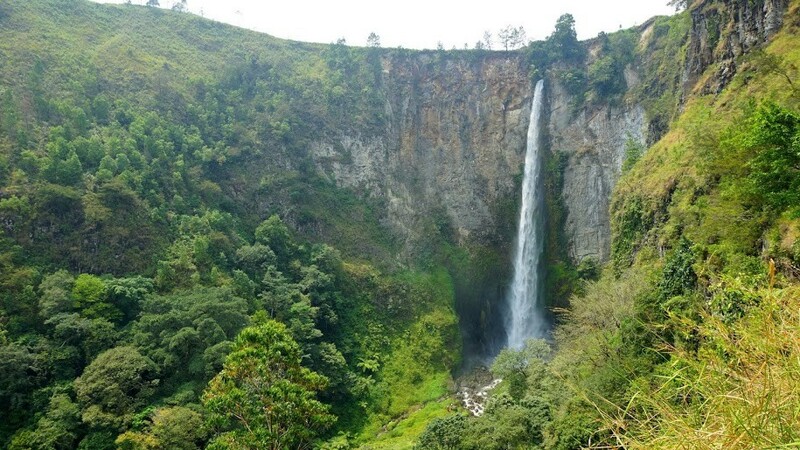 By booking this activity, you will support MIRA, a young local woman who will be your lovely female guide during this walk. 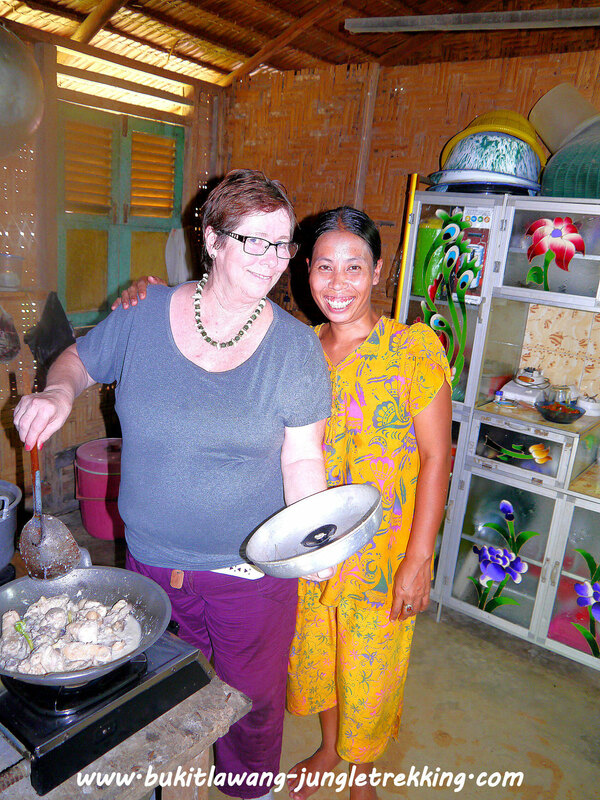 Mira used to be working as a teacher in an Education Centre, therefore she speaks english very well. 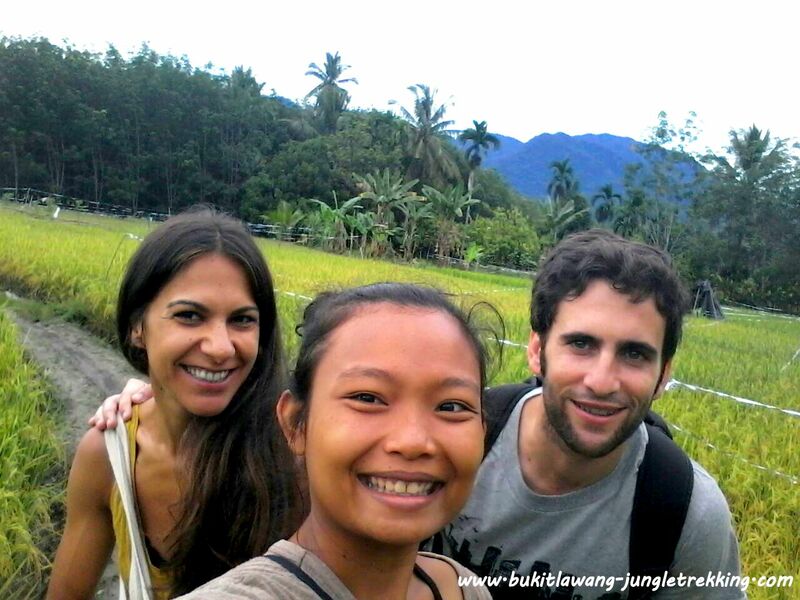 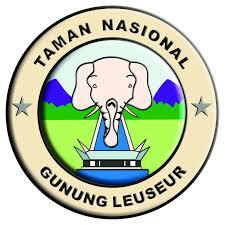 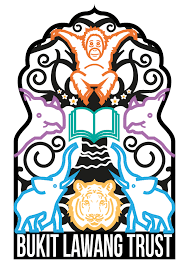 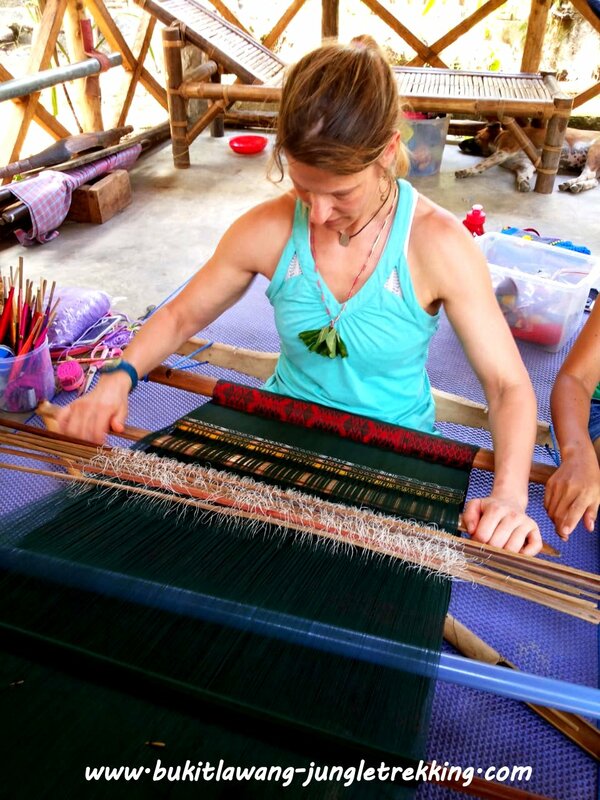 She grew up in a small village near Bukit Lawang so she can give you first hand informations, stories and knowledge. 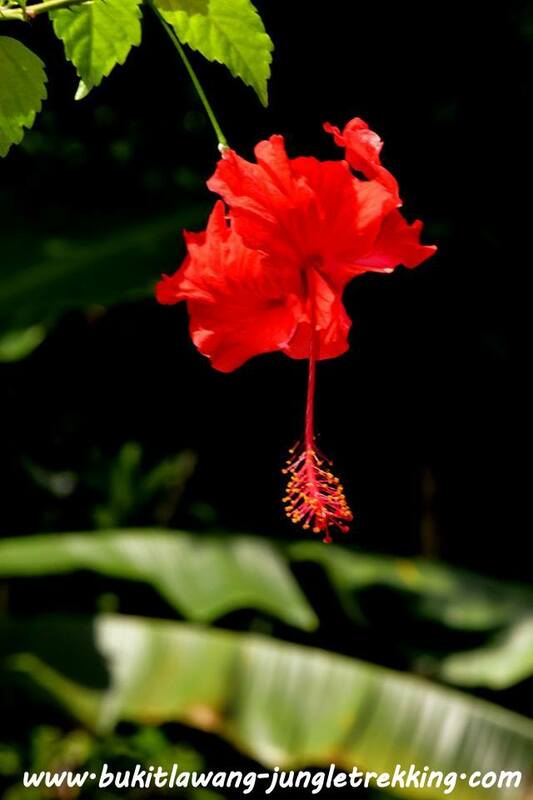 (f.e. 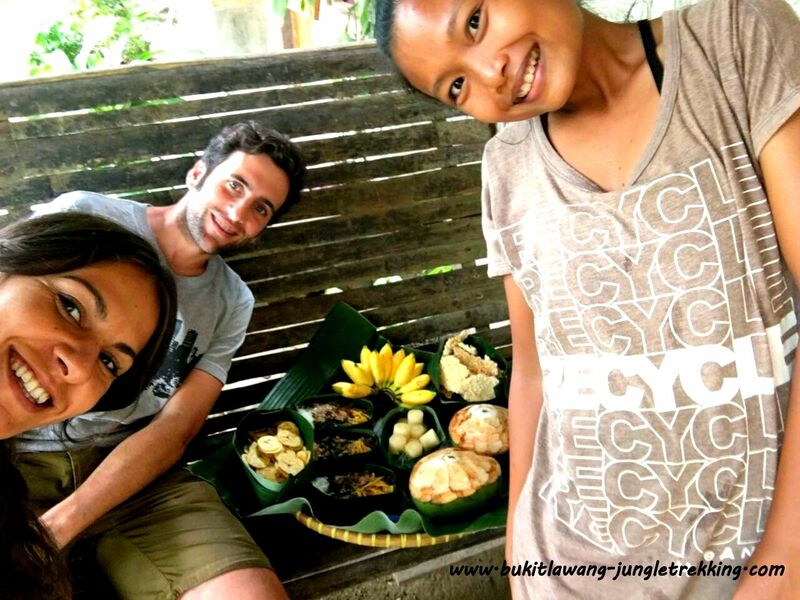 not to having plastic toys; indonesians are quite creative in making toys and any other things out of leaves,wood or anything else they can get from the nature!!! 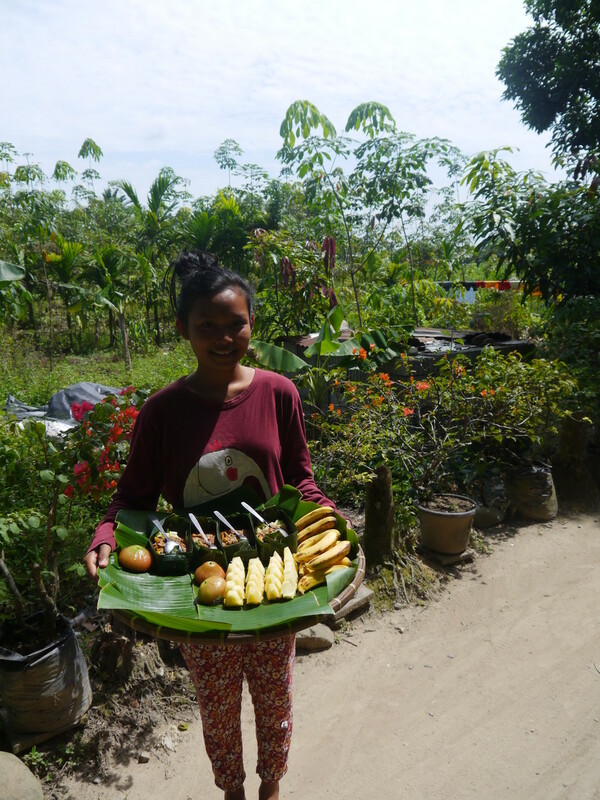 Mira is a modern and forward-thinking person and what she is doing as a young woman can be example for many other young people of the same age. 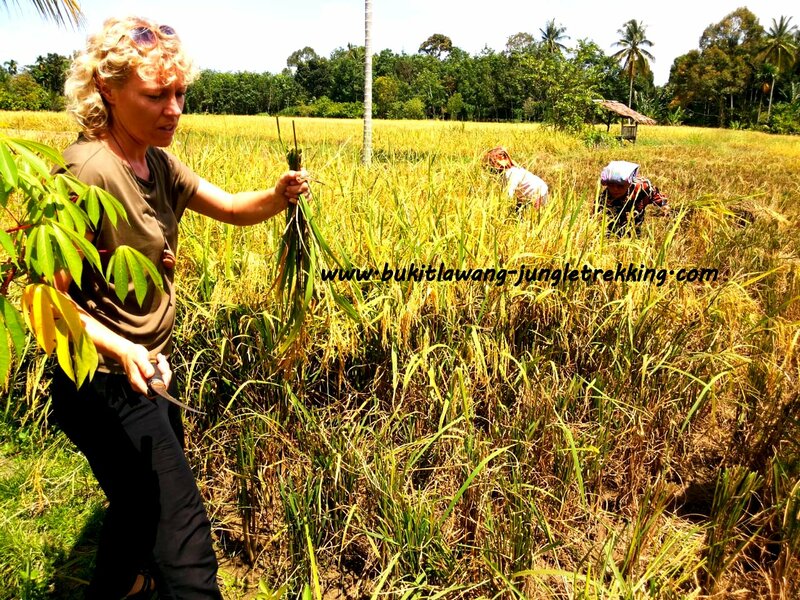 Not so many woman are doing kind of those jobs but step by step they are now allowed to develop and increase their skills. 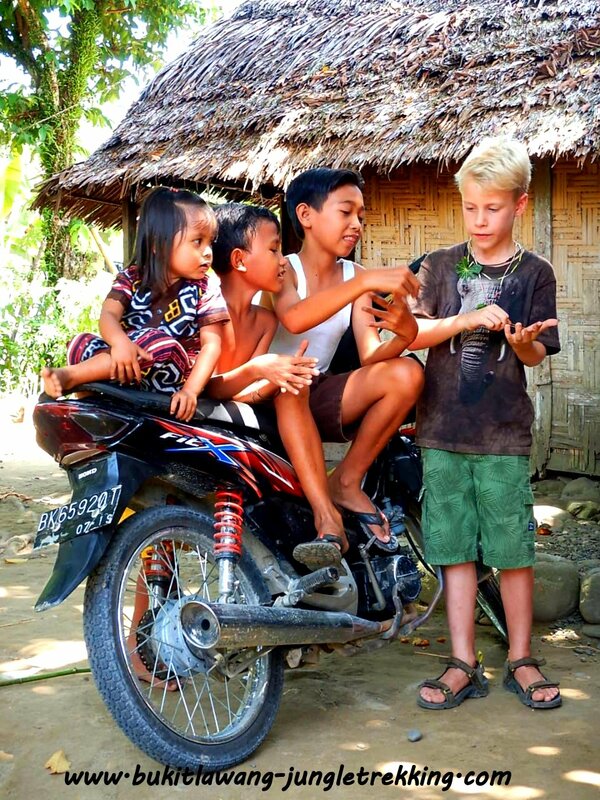 We do like this attitude and think this progress is important for the future and education of indonesians and therefore we and you can help and support Mira. 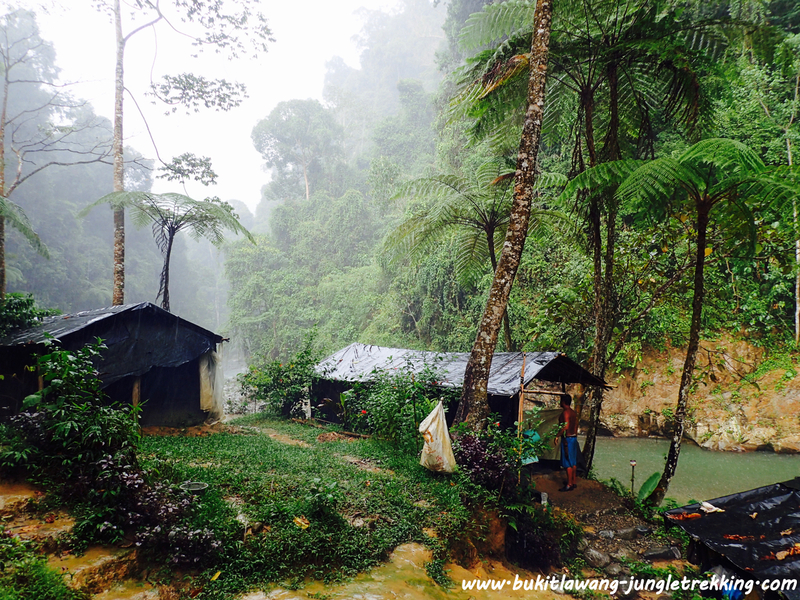 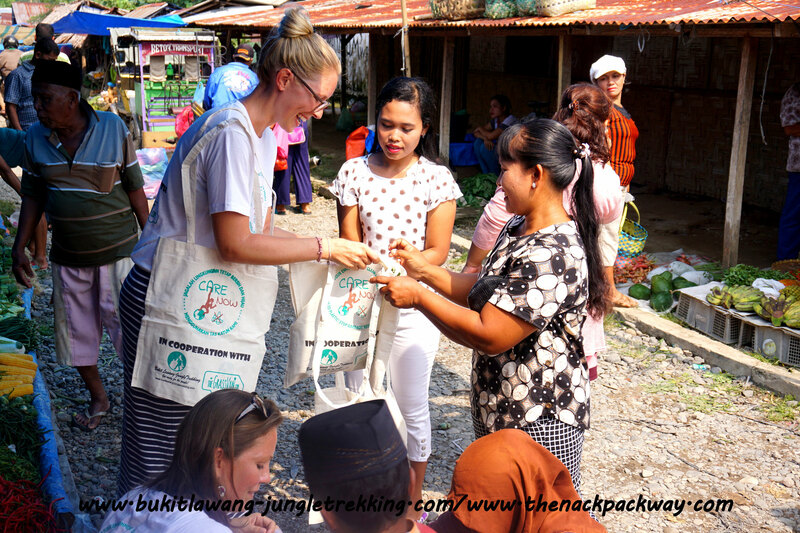 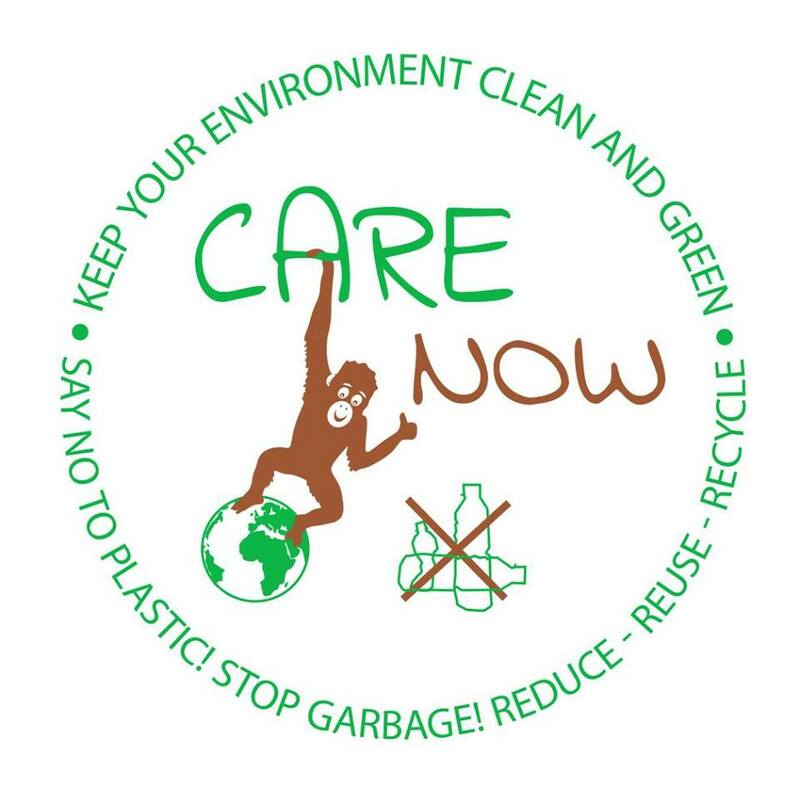 It is part of our ECOTOURISM POLICY to help and support local people and communities for a sustainable livelihood,even outside of the tourist village Bukit Lawang. 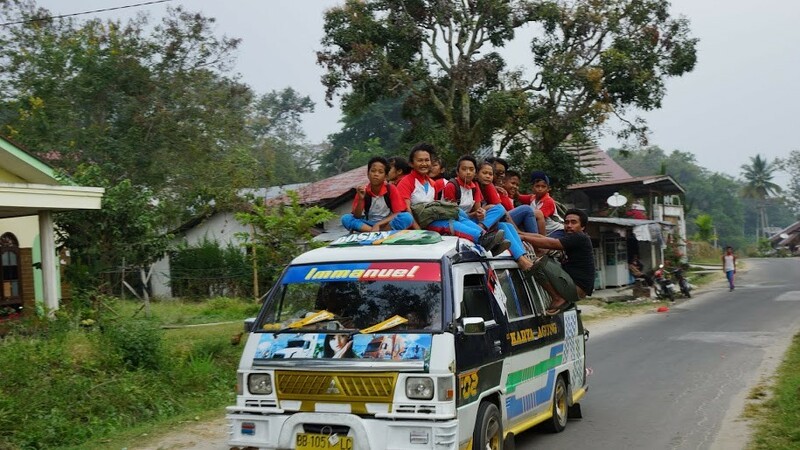 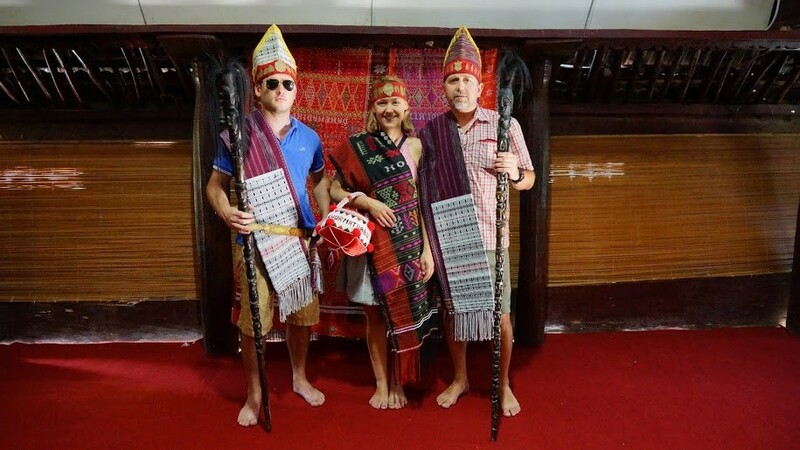 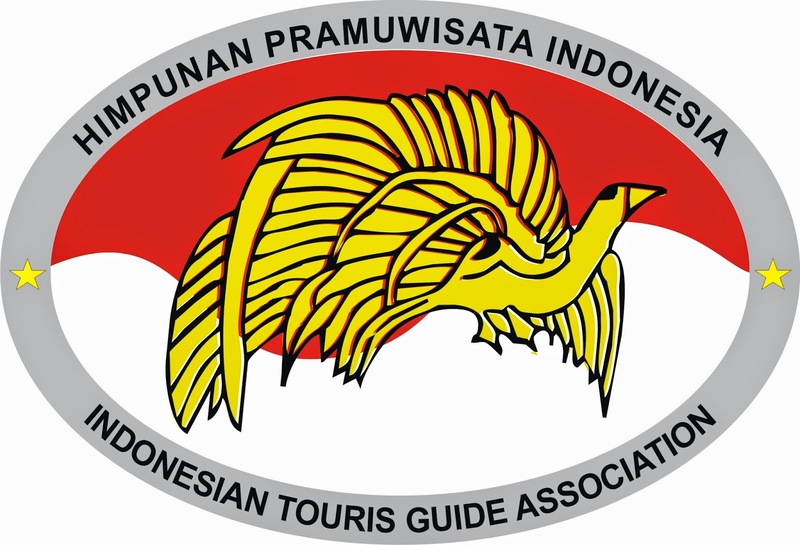 We will pick you up at your hotel at around 8am and drive you with the becak(traditional taxi) to the starting point for this tour ( just 5 minutes away from Bukit Lawang where the next local villages are located). 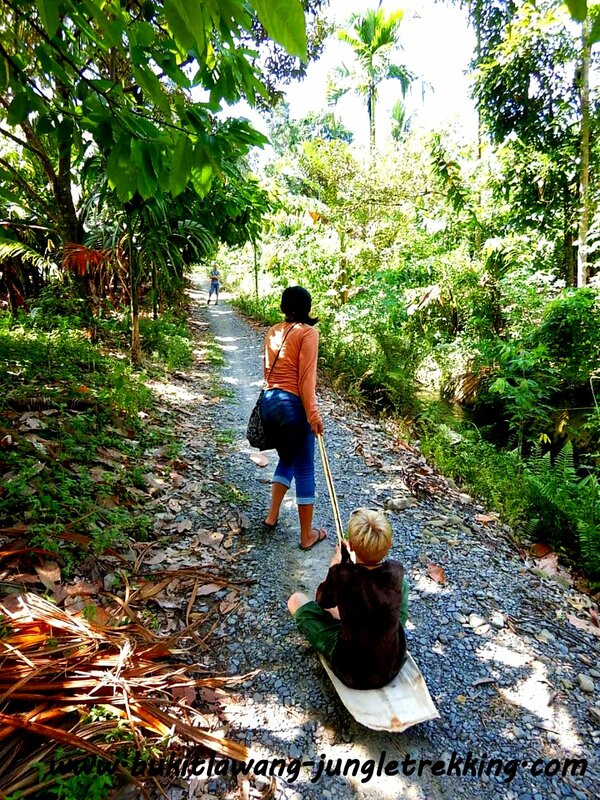 From here, Mira will lead you along a small river through rual and small local villages and amazing green countryside and landscapes. 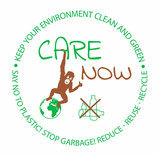 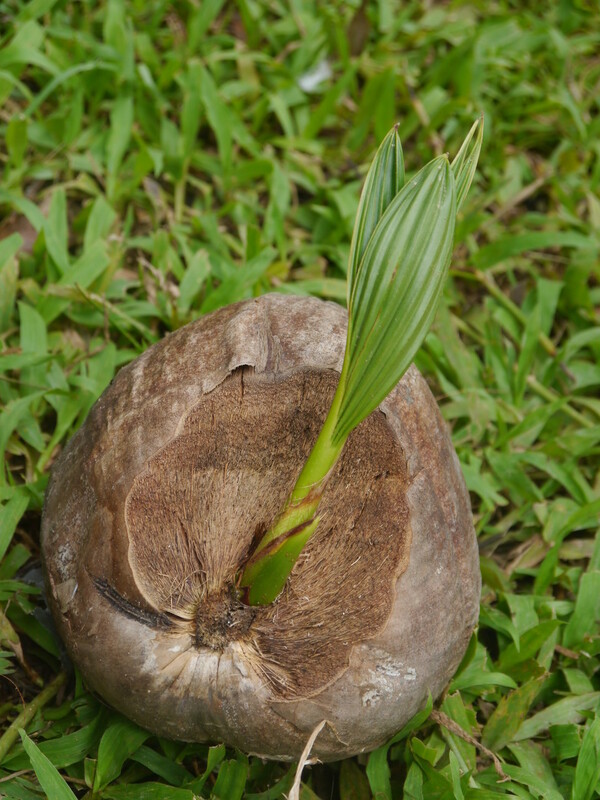 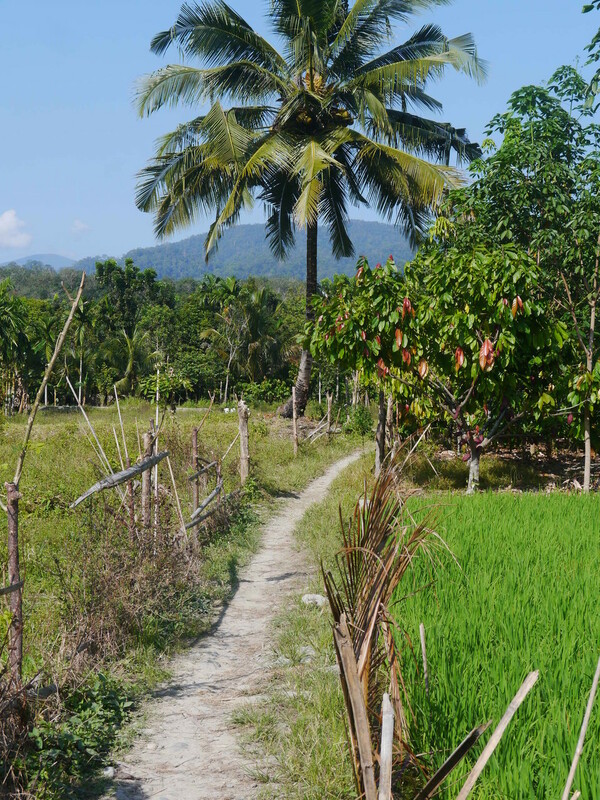 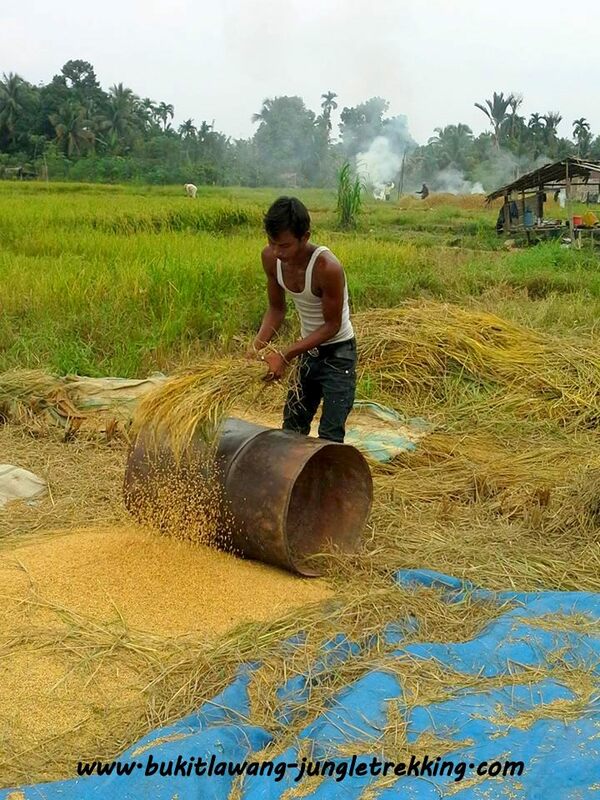 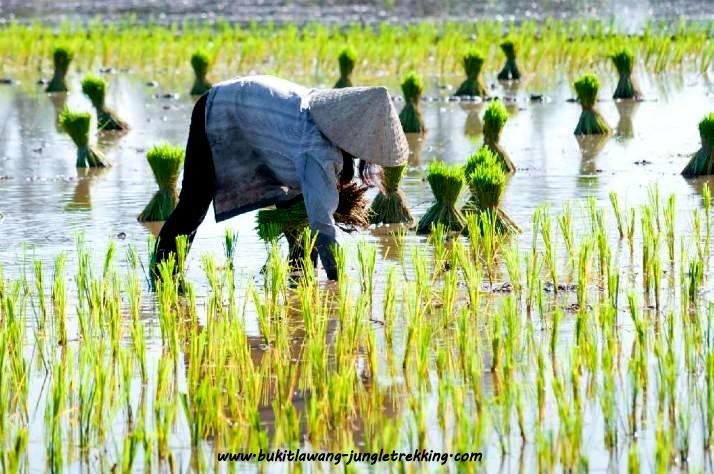 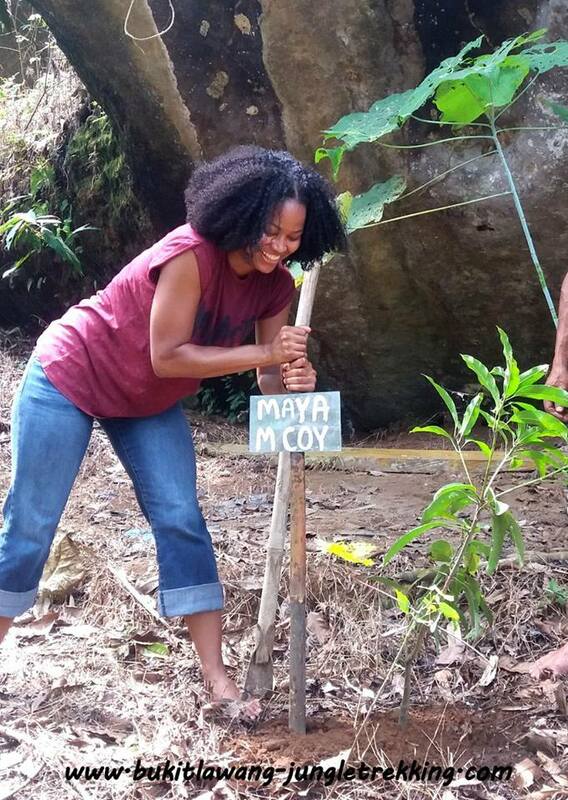 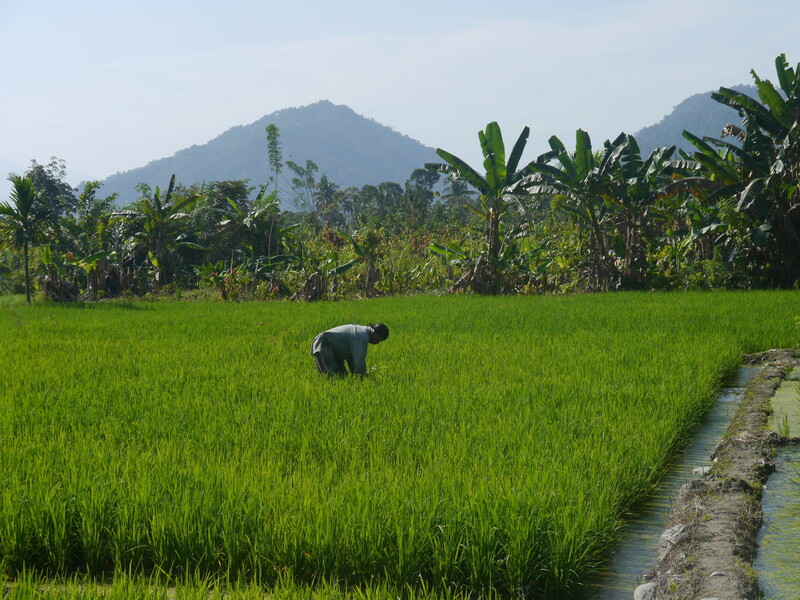 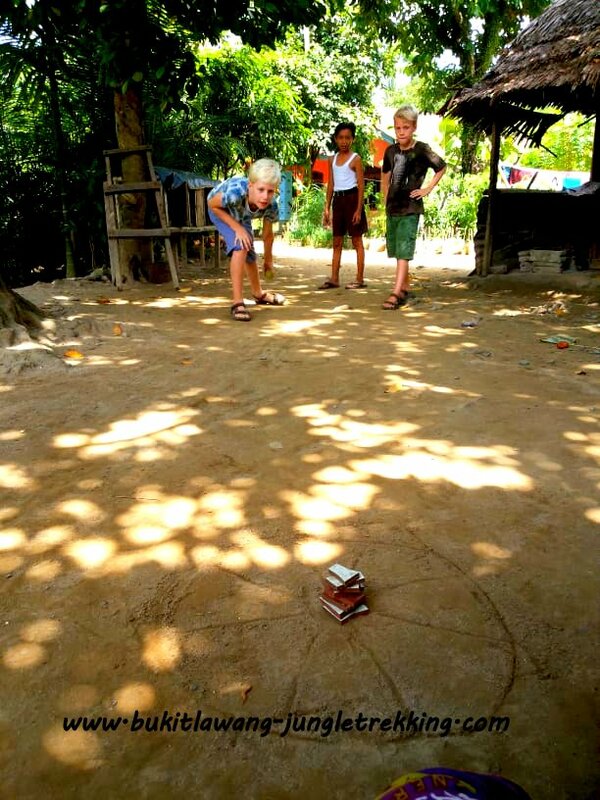 You will pass cacao and rubber plantations,rice fields and many local farming areas. 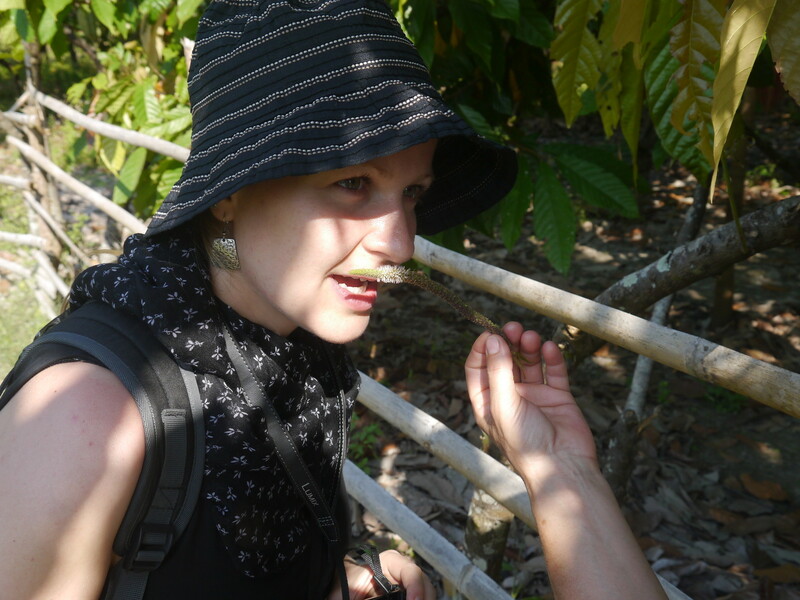 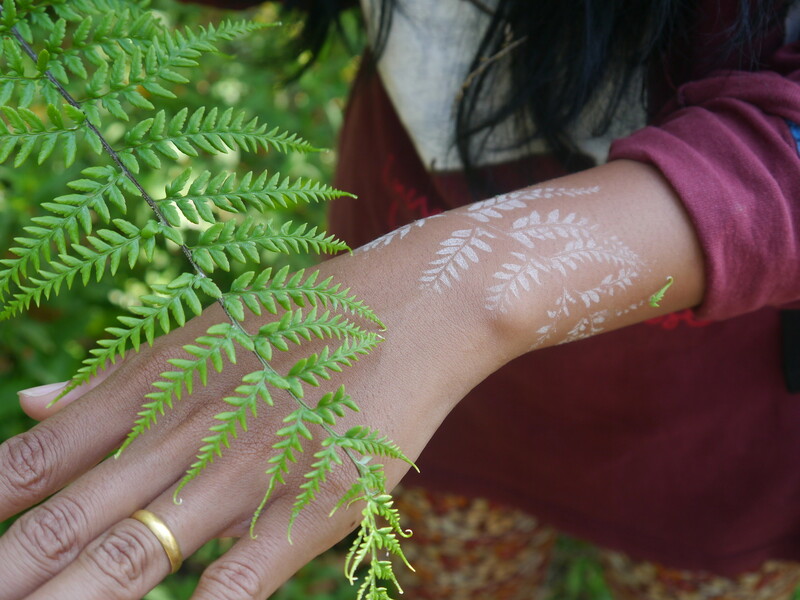 Mira will explain you a lot about all different kind of plants, trees and flowers as well as the local life as a farmer . 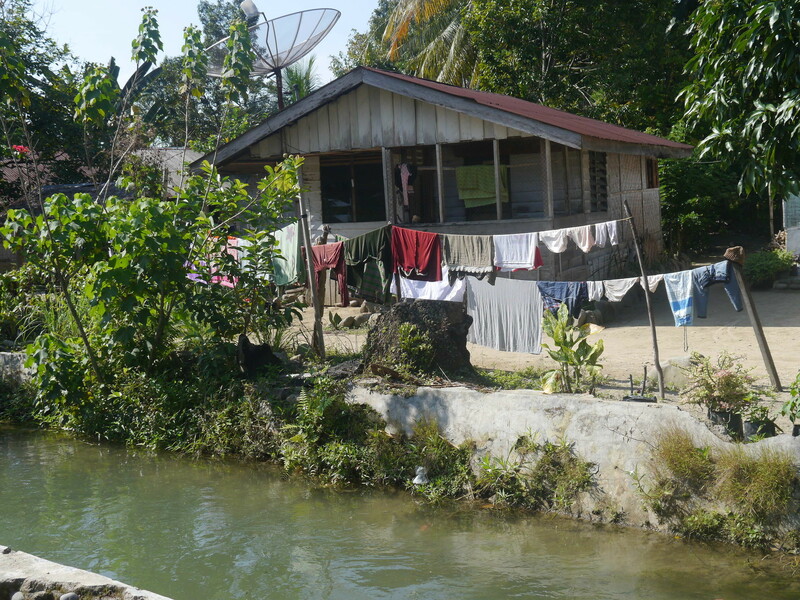 You can see very close by how local people live and work. 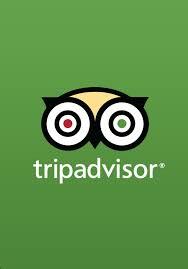 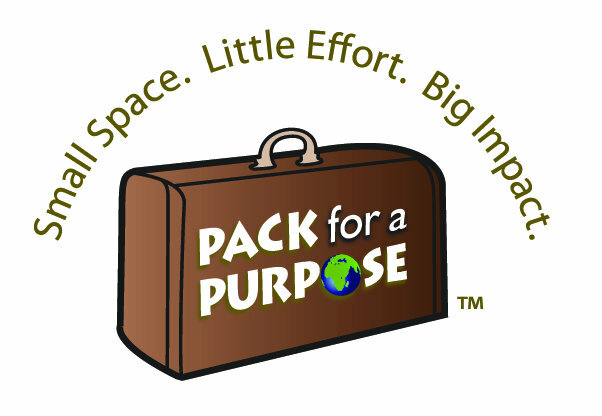 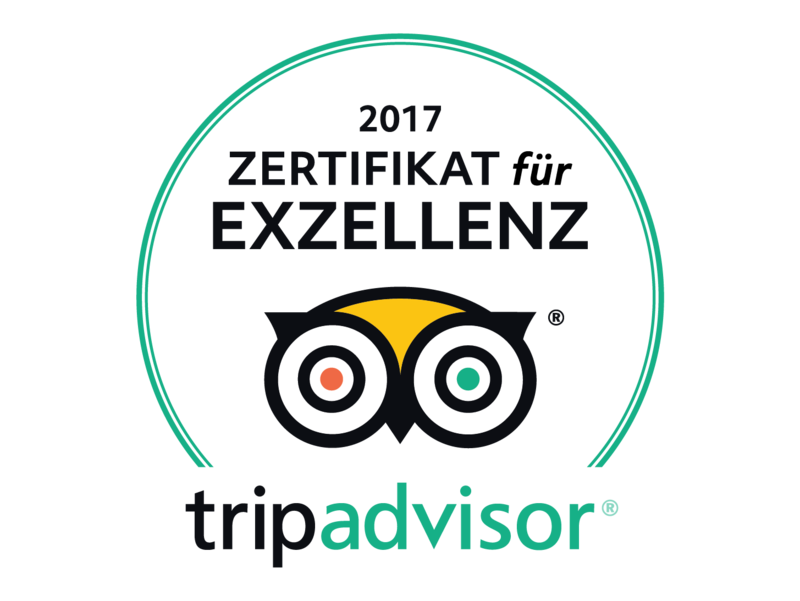 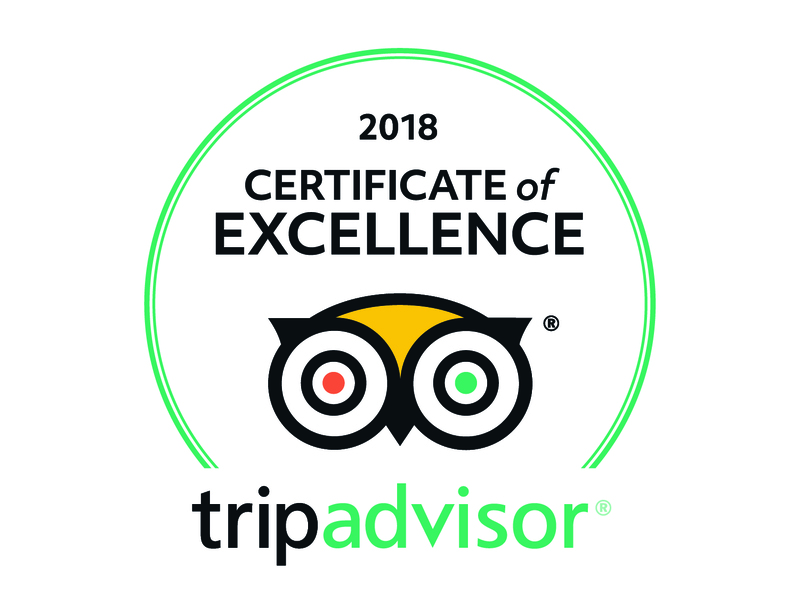 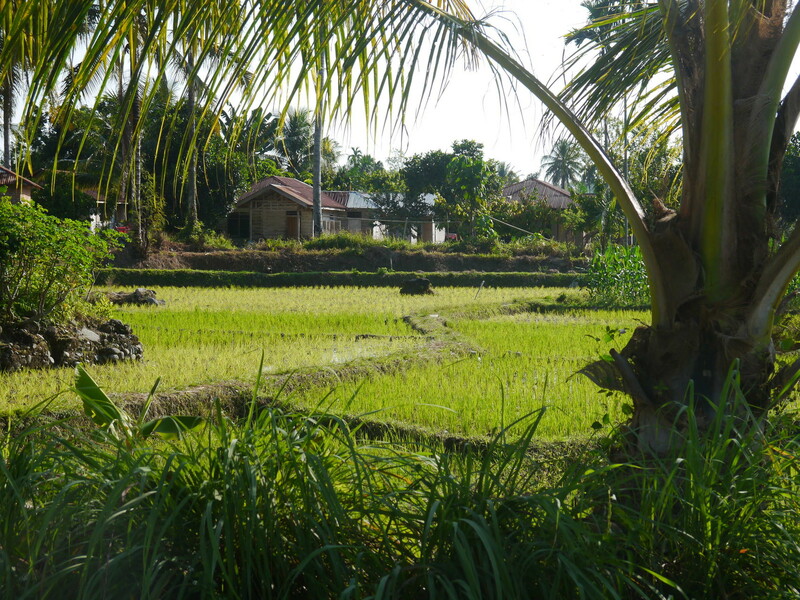 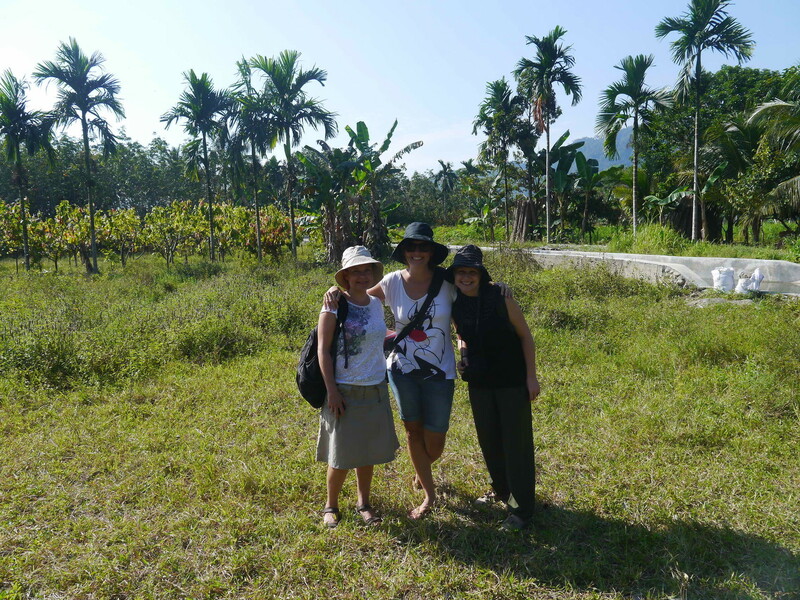 Please contact us here for booking this ECO- Walking Village Tour.